This is a beautiful church and what I liked about it when I first saw it was the starkness of the church building against the blue Clarendon sky. 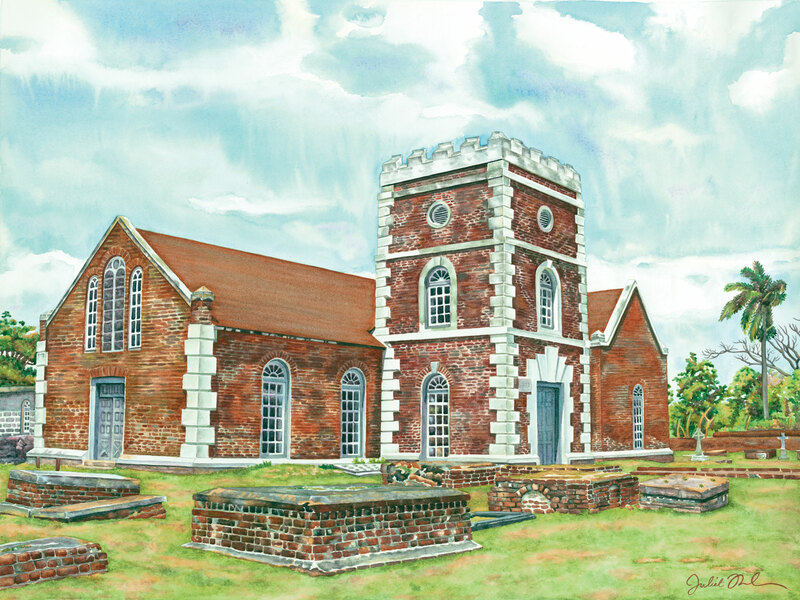 All that red brick with the white trim along with the brick gravestones in the churchyard beckoned me to create my own image of one of Jamaica’s oldest churches. I found St. Peter’s Church a very solid and secure structure and that it must have been to stand the test of time for all these years. This is a limited edition of 50 giclée prints on watercolor paper. The original painting has not been sold.